For years, my husband has continuously asked me to make “saucy ribs.” But for some reason, every recipe I have tried, although good, never really gave me that sweet, spicy, sticky, lick-your-fingers ribs. Until last night. Thanks to my parents, a bottle of liquid smoke was in my stocking this year (which is apparently available in many specialty food stores or online and can be used in many dishes!). I had heard of the ingredient and was curious about the depth of flavor it would add to items made in the kitchen vs. the grill. So when I found a saucy rib recipe that required liquid smoke, I knew I had to try it. You need a weekend day for this one, but it is WELL worth it. I will never make another rib recipe again. The sauce is AMAZING and has such complex flavors – layering the liquid smoke, molasses, coffee and cinnamon. Then, it combines that sauciness with a great dry rub along with slow roasting the ribs until they fall off the bone. 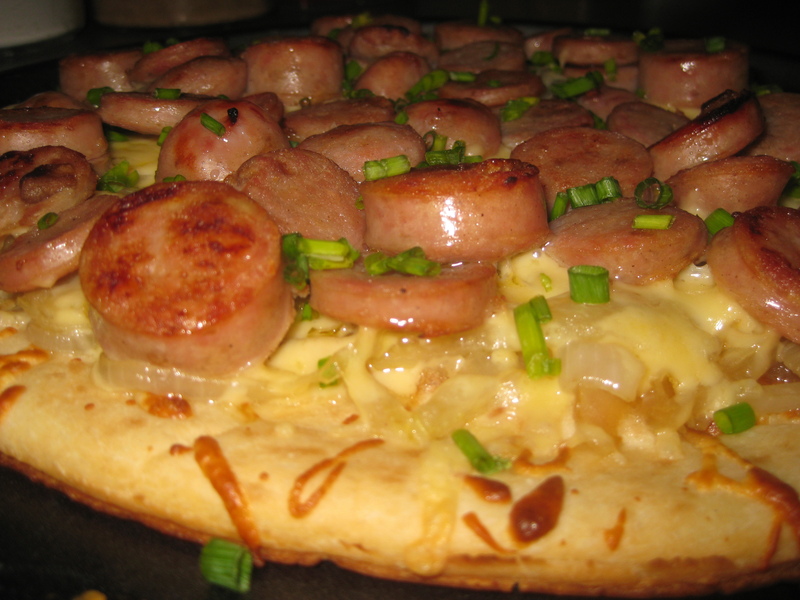 The recipe is from Bon Appetit, but I made a few changes based on user reviews. I changed the recipe for a slower roast, and reduced the sugar for the right balance of sweet and spicy/smoky. As someone who has tried many rib recipes, take my word that this one will be your favorite. And, if you have any doubts, just ask my rib-requesting husband! Score white membrane on underside of ribs. Place ribs in large roasting pan. 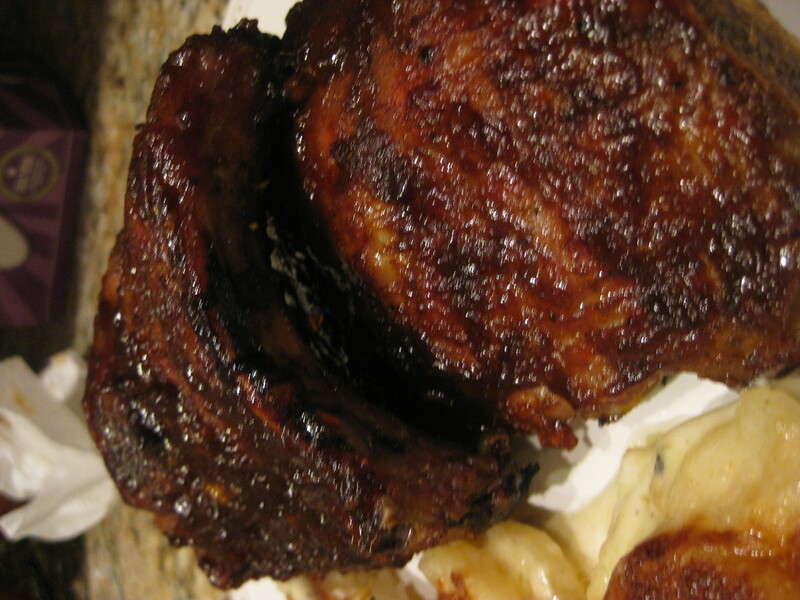 Mix vinegar and liquid smoke in small bowl; brush over both sides of ribs. Refrigerate 2 hours. Preheat oven to 300°F. Mix chili powder, cumin, sugar, onion powder and cayenne. Rub over both sides of ribs. Season with salt and pepper. Arrange ribs, meat side up, in single layer on 2 large baking sheets. Roast 3 hours, covering loosely with foil if browning too quickly. Remove ribs from oven. Brush both sides of ribs with 3/4 cup sauce. Roast 10 minutes. Brush both sides of ribs with additional 3/4 cup sauce. Roast 15 minutes longer. Remove ribs from oven. Cover with foil; let stand 15 minutes. Cut ribs between bones into 3- to 4- rib sections. Serve with remaining sauce. Our soup season is slowly coming to an end, so I was hoping to crank out a few batches of this warming comfort food before spring and the grill take over. This recipe was in Bon Appetit and the moment I saw it, I knew I had to try it. Soup itself can sometimes not be considered a meal (a la Seinfeld) but this hearty soup has meatballs, rice and fried tortilla strips. Sounds like a meal to me! It is work, so I would do it when you have a little time (like the weekend) but it is well worth the effort. The smoky flavor of the poblanos and ancho chile powder with the tangy punch of the lime and cilantro make this dish layered in its flavors. And – hint – make extra of the fried tortilla strips because they are fantastic! 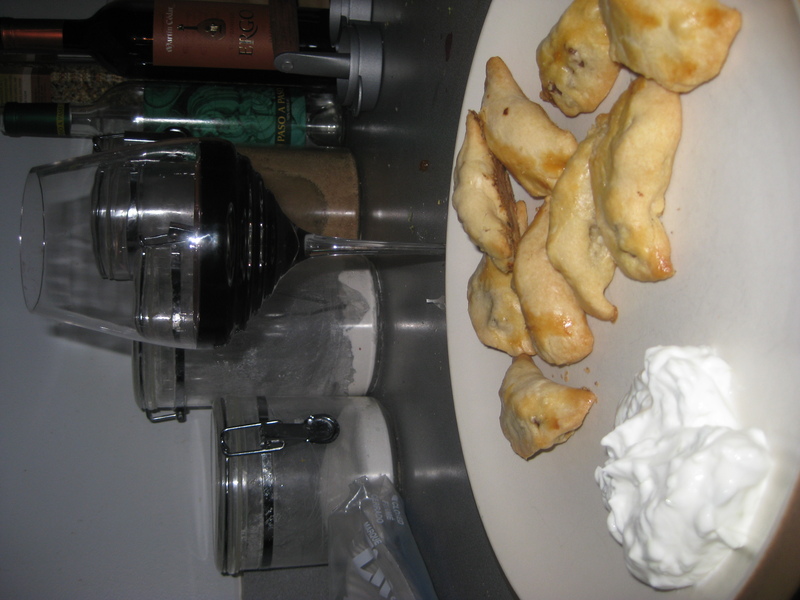 (also, I sprinkled some salt on them after I took them out of the oil for extra flavor). 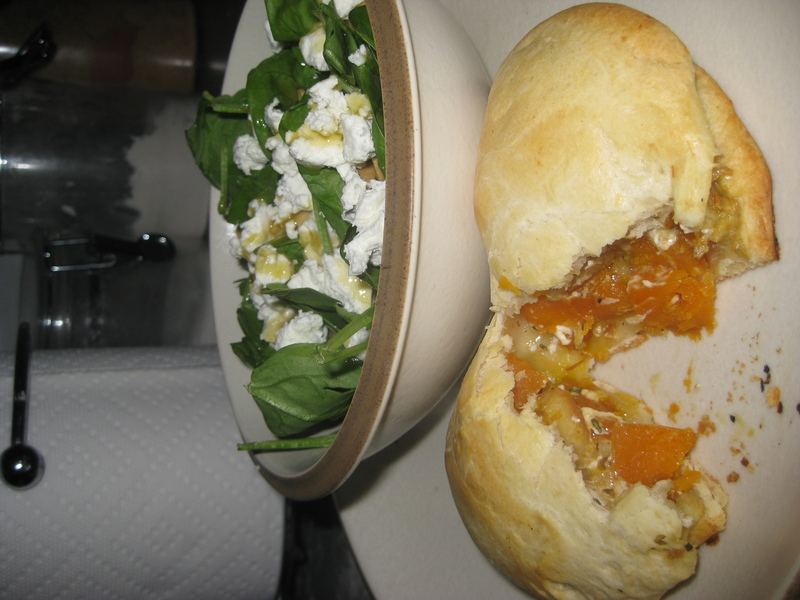 The wonderful thing about this dish is not only is it amazing the first time around, but it makes fantastic leftovers. Go ahead and make the full batch, and give yourself lunch for the next few days. So, as warm, hearty soups start trickling out of your recipe mix as the weather gets warmer, try this one before you put your dutch oven to rest. Place chiles in large bowl. Gently mix in beef and all remaining ingredients. 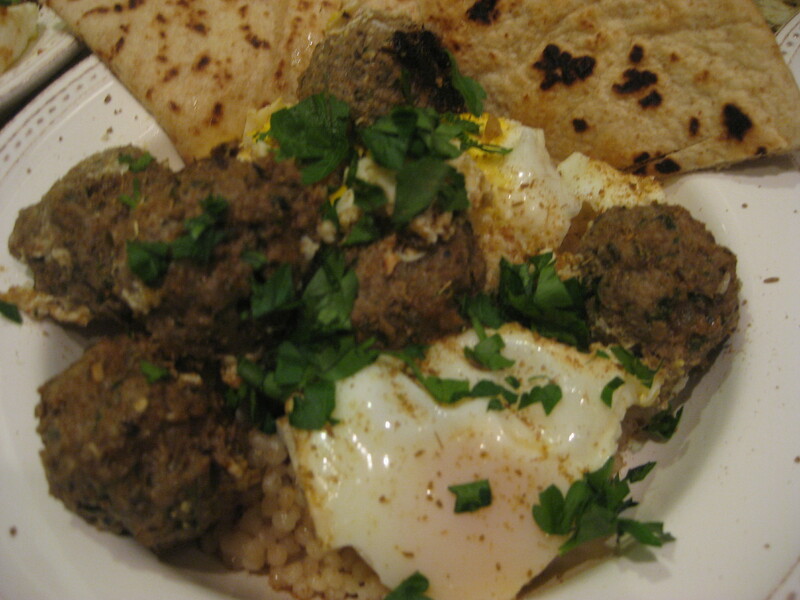 Using moistened hands and scant tablespoonful for each, roll meat mixture into 1-inch meatballs. Arrange meatballs on sheet. Heat oil in large pot over medium heat. Add onion with any juices and garlic. Sauté until onion is tender, about 3 minutes. Add chile powder and cumin; stir 1 minute. Add broth and oregano; bring to rolling boil. Reduce heat to very low, just below bare simmer, and cook 10 minutes. Stir zucchini and rice into broth. Increase heat to medium and drop in meatballs, 1 at a time. Return soup to simmer. 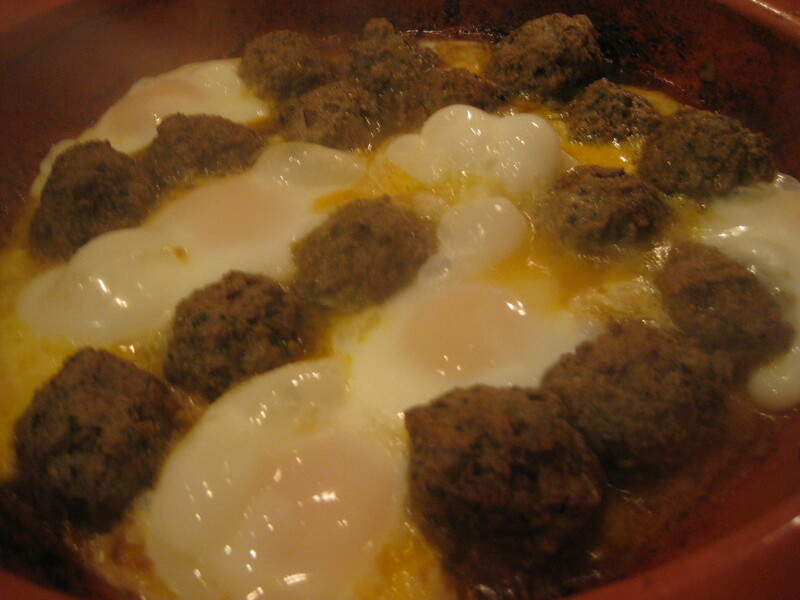 Cover and cook gently until meatballs and rice are cooked through, stirring occasionally and adjusting heat to avoid boiling, about 20 minutes. Add 1/4 cup cilantro and 1 tablespoon lime juice. Season soup with salt and add more lime juice by teaspoonfuls, if desired. Ladle soup and meatballs into bowls. 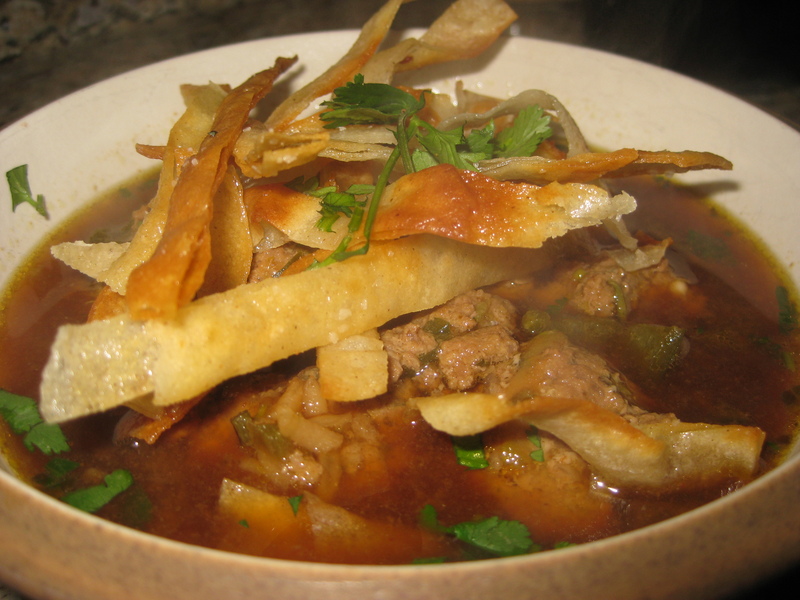 Top with tortilla strips and cilantro. Due to an upcoming trip to a land of spit- roasted pig and beans, this Brazilian dish felt like a good precursor. It is pronounced fay-zwah-da (my Brazilian friend says it MUCH better than I do!) and is traditionally served on special occasions. Thanks to the lovely invention of the slow cooker, this dish was possible with little hands-on time on a weekend. At first I was a bit skeptical. There were no spices other than salt and pepper – and just onions, chicken broth, garlic and meat/beans. I felt like it had the potential to be bland, until I realized you sear all the meat in bacon grease before putting it in the slow cooker, add a ham hock for flavor, and let them slow cook for a full 8 hours. I am still unsure how this dish came from Cooking Light, but I will turn my head in denial because it is AMAZING. The flavor is so rich and comforting. I put orange juice in my rice (since you serve the dish with orange wedges) and it gave a good light citrus flavor to balance out the heaviness of the dish. I have never been to Brazil, but this dish alone makes me want to take a trip immediately and have this dish in the land in which it was invented. 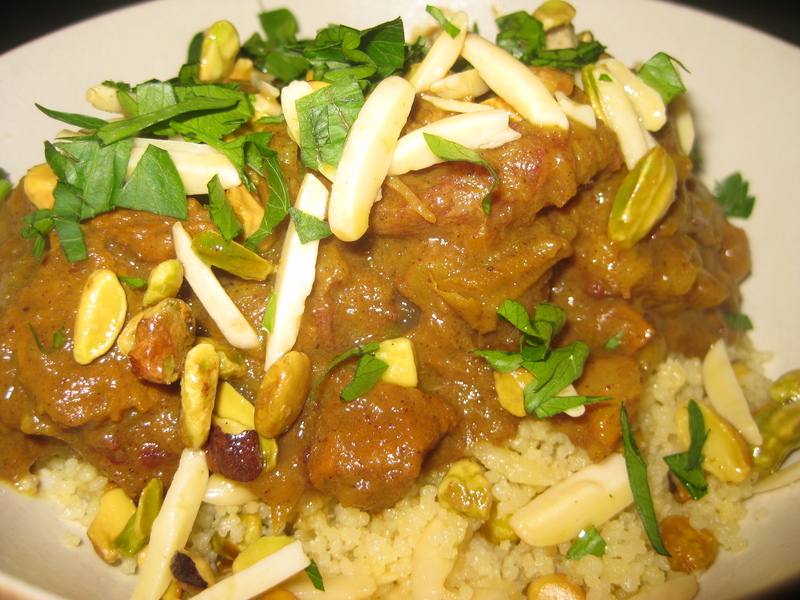 If my slow cooker attempt was this good, I can only imagine what the real thing tastes like! Place beans in a small saucepan; cover with cold water. Bring to a boil; cook for 2 minutes. Remove from heat; cover and let stand 1 hour. Drain. Cook bacon in a large skillet over medium heat until crisp. Remove bacon from pan; crumble. Sprinkle pork evenly with 1/8 teaspoon salt and 1/4 teaspoon pepper. Increase heat to medium-high. Add pork to drippings in skillet; sauté 8 minutes, turning to brown on all sides. Transfer pork to a 6-quart electric slow cooker. Sprinkle ribs evenly with 1/8 teaspoon salt and remaining 1/4 teaspoon pepper. Add ribs to skillet; cook 3 minutes on each side or until browned. Place ribs in slow cooker. Add drained beans, remaining 1/2 teaspoon salt, onion, and next 3 ingredients (through ham hock) to slow cooker, stirring to combine. 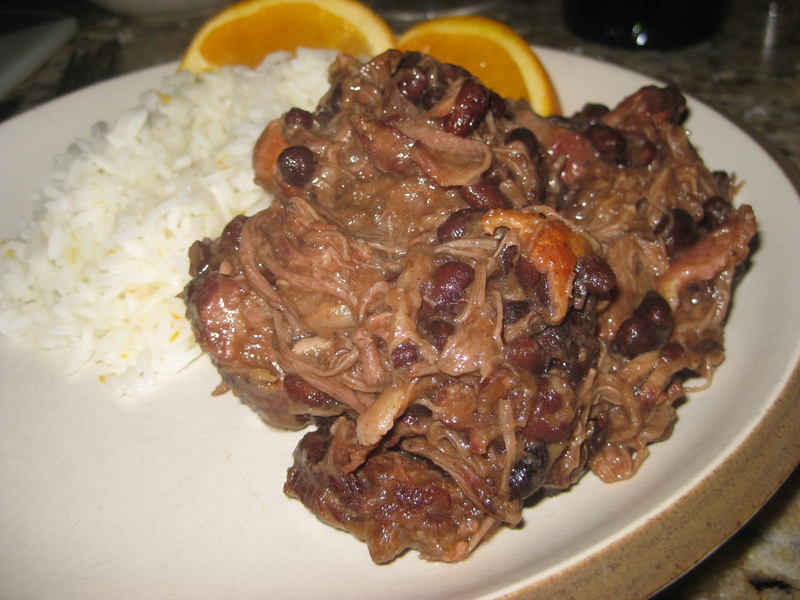 Cover and cook on LOW 8 hours or until beans and meat are tender. Remove ribs from slow cooker; let stand 15 minutes. Remove meat from bones; shred meat with 2 forks. Discard bones. Discard ham hock. Return beef to slow cooker. 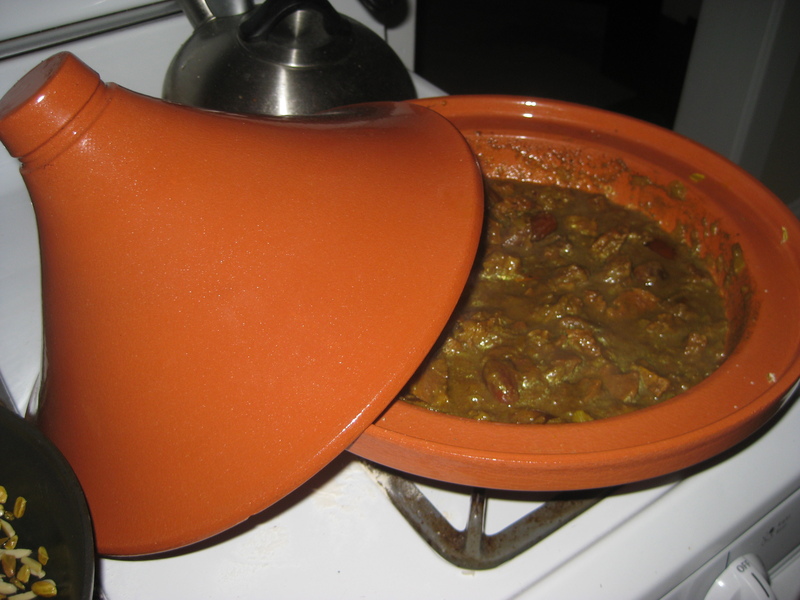 (if your dish is like mine, the meat had already fallen off the bone and I could just shred in the slow cooker!). Stir in vinegar and crumbled bacon. Serve with orange wedges and rice. There are certain foods out there that scare me. The thought that I could prepare those ingredients, master that technique or turn out a complicated dish will sometimes prohibit me from even trying. My mantra as of late is “we can always get take out,” so I have been trying to go outside my comfort zone a bit more than usual. I am actually embarrassed to say I have never made risotto. Me. Italian my marriage. 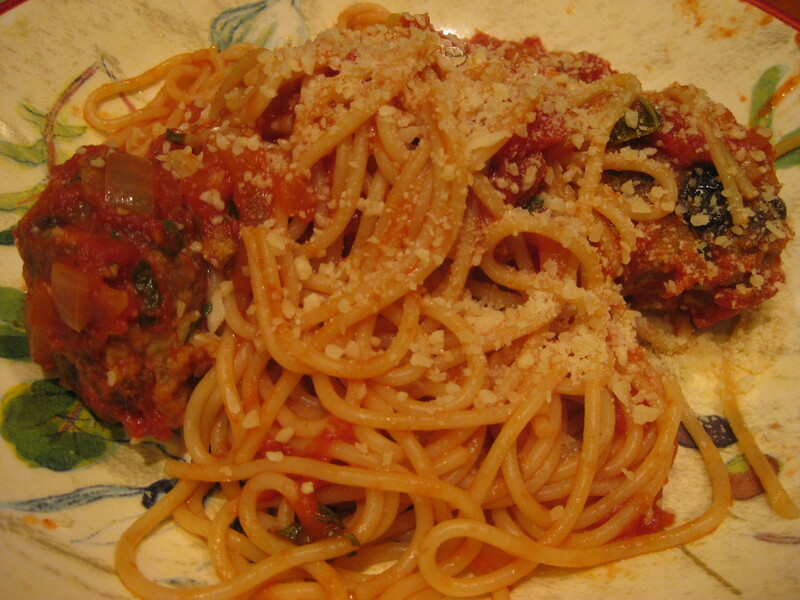 A love of Italian food. A carbaholic. It is remarkable, really, that a rice could scare me so much. Until, that is, I saw Moreno in Perledo, Italy make it (still working on the Lake Como cooking class blog post, I promise!). He made it look easy. Truly, the main ingredient you need is a bit of patience. He said you want to “mantecare,” which apparently means to “make creamy.” Add broth. Stir. Add broth. Stir. Seemed simple enough, as long as I could hold off waiting to eat it until it reached perfection. 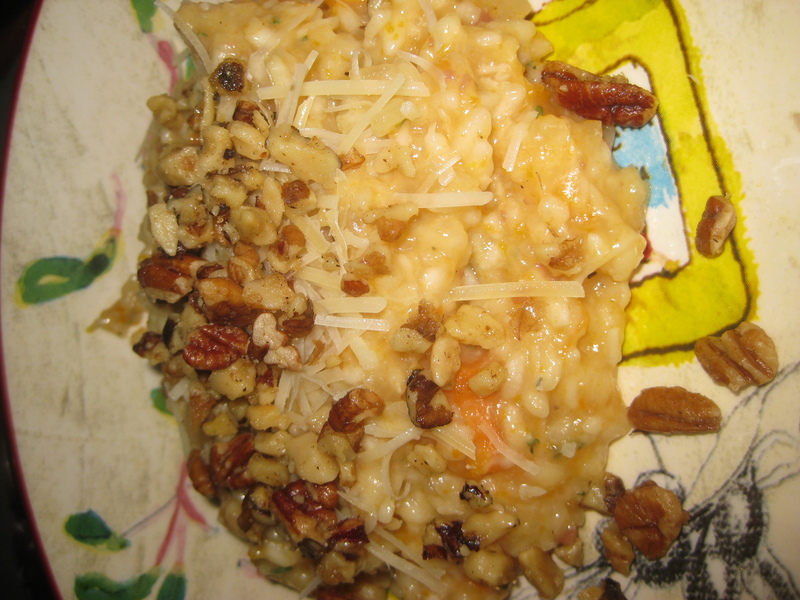 So, in my seasonal cooking spirit, I tried a roasted butternut squash risotto with sugared walnuts from Cooking Light. Now that I have mastered how to butcher a butternut squash (if you need help, go here! It sure helped me! http://simplyrecipes.com/recipes/how_to_peel_and_cut_a_butternut_squash/﻿), I thought I would try this, and was anxious to taste the soft, rich risotto paired with sweet and crunchy nuts. Oh. My. Goodness. This recipe alone is a reason to get over my resistance to risotto. Yes, it takes long, well over an hour, but the wait was worth it. It is so rich and creamy, and the nuts cut the richness with a perfect sweet crunch. I almost felt myself transported back to Italy where I truly fell in love with risotto. I could hear Moreno telling us to “mantecare” while we sipped our wine and watched in awe, all the while breathing in the sweet and salty smells of a strawberry balsamic risotto. Nothing could compare to Moreno’s technique and end result, but this risotto came as close as I have ever been since. So, be brave, carve out some time, eat a snack to tide you over, then stir away. You will be glad you did! Heat a large saucepan over medium heat. Add pancetta to saucepan; cook 5 minutes or until browned, stirring frequently. Add onion; cook 3 minutes or until tender, stirring occasionally. Add rice; cook 2 minutes, stirring constantly. Add wine; cook 1 minute or until liquid is nearly absorbed, stirring constantly. Add broth mixture, 1/2 cup at a time, stirring constantly until each portion of broth is absorbed before adding the next. Continue until the risotto is cooked (hint, you may need more chicken broth like I did!). Stir in squash, thyme, 1/4 teaspoon salt, and 1/4 teaspoon pepper. Top with cheese and nuts.